Cleaning up one’s face at the end of the day is a very important beauty regimen that most of us girls fail to do. We’d spend minutes or sometimes, hours, putting make up on our face in the morning yet we can’t seem to spare 5minutes cleaning our face afterwards. Can’t blame you! Sometimes I’m too tired to wash my face. And since I’m using waterproof mascara and eye liners, I really find it super difficult to clean up. Sometimes, even after washing my face with facial wash, I’d still find myself having raccoon eyes. 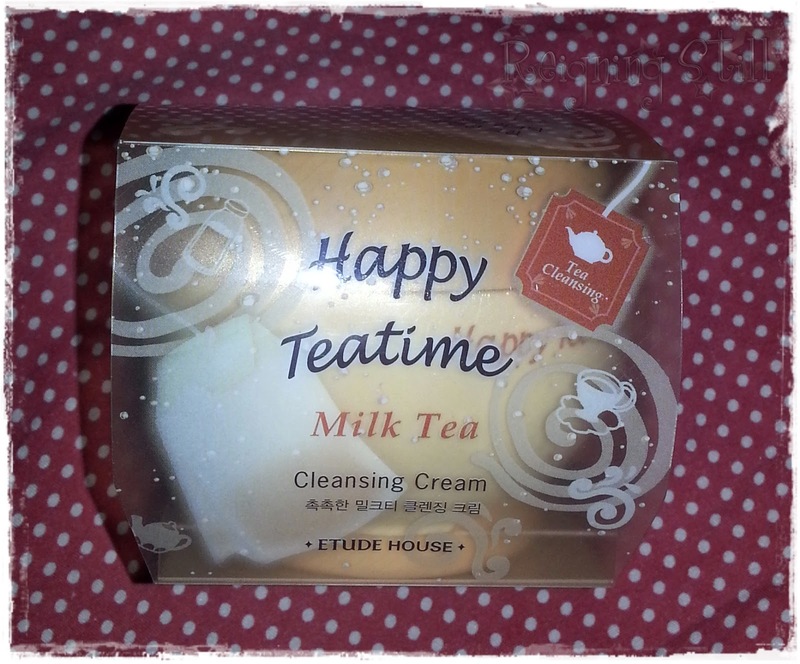 I am so glad that I found Happy Team Time in Milk Tea by Etude House!!! And this tub of cream only costs Php 198. Score! I found a similar product in Tony Moly and Face Shop but both are too pricey! Around Php700 if I’m not mistaken. Too much if I may say. I’ve been using this product for almost 4 months now and I really love it. This make up remover is formulated with Milk Protein to remove stubborn dirt and make up while still keeping the skin moisturized. 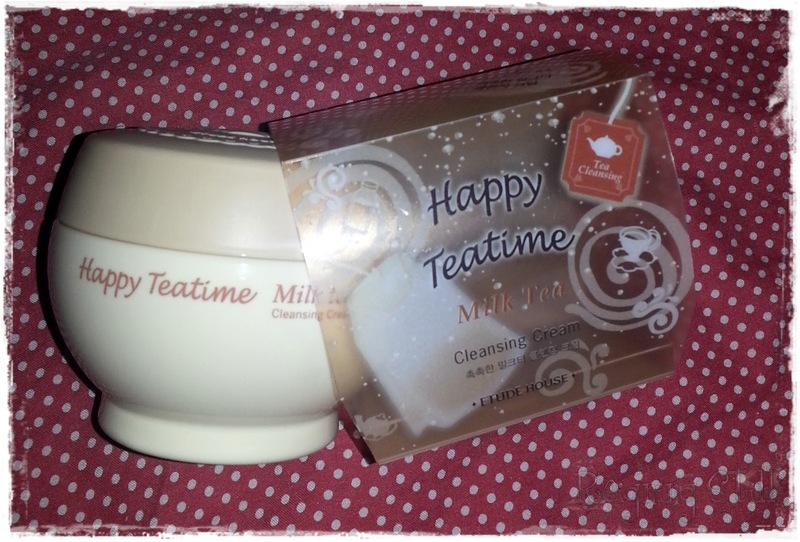 This variant is best for sensitive skin according to the Etude house lady. This make up remover is super easy to use. Just open the tub and get some cream and massage the cream all over the face. I do it in a circular manner to relax my face and ensure proper coverage. Lahat ata ng bagay ginagawa in a circular manner pagdating sa usapang ganda. After massaging the cream, just wipe it off gently with a facial tissue or cotton pads. I recommend facial tissue because you can wipe off the make up better. Just make sure that you do it gently. I would usually wash off my face with facial wash after or if I’m too sleepy, I’d just wipe off the excess oil and cream with a facial wipe. I love that this product really does what it promised. It’ll clean your face and remove all the make up. My waterproof mascara and eye liners are both difficult to remove. As in! But Happy Tea Time could wipe it off in just a few seconds. Not a trace of make up in my face. And the cream smells oh so nice! Like baby powder. And it feels smooth on the skin. I also notice that I don’t have any breakouts ever since I use this product. I’d usually get break outs the next morning if I leave make up on my face at night. I tried using Eskinol but it only worsened my breakouts. So I’m really thankful that I found this product. And that its not too expensive at all. And I really think it’s mild enough that I am still using it until now (even if I’m preggers). So girls, no excuse na for not cleaning your face before going to bed. All the prettiest faces of the world swore that sleeping with a clean, bare face is the best beauty regimen ever. If you are one of those who believed that you can’t wash your face with water because the eyes are too tired, use this cleansing cream! And it’s sobrang mura pa!